Pittsburgh Penguins' Injury Woes: Who Do They Miss Most? Pittsburgh Penguins’ Injury Woes: Who Do They Miss Most? It is no secret that the Pittsburgh Penguins have been plagued by injuries not just this season, but for the past several years. Key players like Sidney Crosby, Evgeni Malkin, Marc-Andre Fleury and Kris Letang, to name a few, have not been immune to the injury bug over this time frame. With over 160 man games lost due to injury this season, the Penguins rank second behind only the Colorado Avalanche (192). While the superstar Penguins have been rather fortunate this season by not finding themselves out of the lineup for a long period of time (knock on wood, Pens fans), key players to the 2014-15 roster have sustained severe enough injuries, forcing them to miss weeks, months, and even the rest of the season. 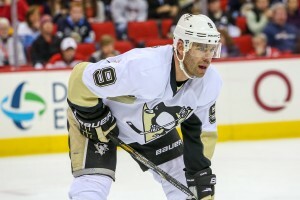 Pascal Dupuis started the season off on fire for the Penguins, accumulating four points (G, 3A) in the 2014-15 season opener against the Anaheim Ducks. Two games later, on October 16, Dupuis suffered his first health scare of the season. Playing against the Dallas Stars, the 35-year old veteran winger found himself down on the ice and received a Kris Letang slapshot on the back of his neck. He would not miss any action from the injury as he returned on the 18 to face the New York Islanders. Dupuis would go on to play 12 more games before doctors found a blood clot in his lung, forcing Dupuis to miss a minimum of six months. The fan favorite has seen much success playing alongside Sidney Crosby and Chris Kunitz over the better part of the last three seasons and has contributed wherever he has been in the lineup. Be it on the penalty kill, second power play unit, or as a mentor for the younger players, Dupuis is a major loss for the Pittsburgh Penguins. The arrival of Patric Hornqvist was one that was received with open arms by most Penguins’ fans as the acquisition signaled a changing of the guard in Pittsburgh. He did not take long to make his impact felt, posting 13 goals and 14 assists in his first 25 games before missing two games in a row in early December. 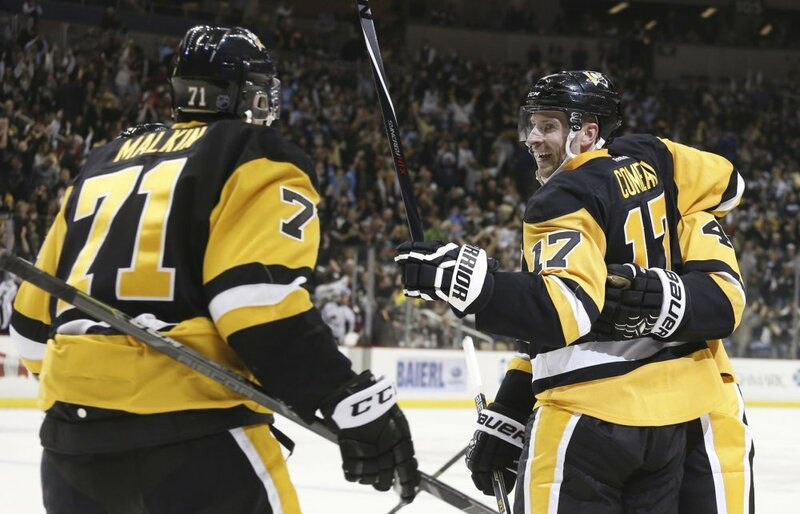 Upon returning, Hornqvist managed to up post four points (2G, 2A) in his next eight games. Suffering a lower body injury against the Washington Capitals on December 27, Hornqvist has missed the last eight tilts. In those eight games, the Penguins have scored 24 goals. In the first eight contests of the this current campaign, the Penguins racked up 33 goals. Needless to say, Hornqvist’s injury has stifled the Penguins’ offensive juggernaut and is sorely missed. Arguably the best steal for General Manager Jim Rutherford this offseason, Blake Comeau has proven to be one of the most versatile players on the Penguins roster. Seeing time on all four lines, Comeau’s production has been a welcomed surprise. The 28-year old winger found his most productive time this season alongside Evgeni Malkin. Comeau is also the only Penguin this season to register a hat-trick (Nov. 26- vs. Toronto Maple Leafs). Johnston says Comeau will miss several weeks. In the eleven games after his hat-trick, Comeau would amass three goals and three assists, including a game-winning overtime tally against the Colorado Avalanche on December 18. The following contest against the Florida Panthers, Comeau crashed awkwardly into the boards early in the contest. It was later revealed to be an upper body injury. Comeau’s ability to jump up and down the lines, contribute offensively while being defensively responsible and hard on the puck are qualities the Penguins are missing at the current moment. Simply put, Olli Maatta’s second season in the National Hockey League has been a miserable affair. After being cleared to begin the season with the team following an offseason shoulder surgery, Maatta made his presence felt in the season opener posting three assists. The young Finnish defenseman would run into his first medical hiccup of the season after doctors found a cancerous tumor on his thyroid gland in early November. 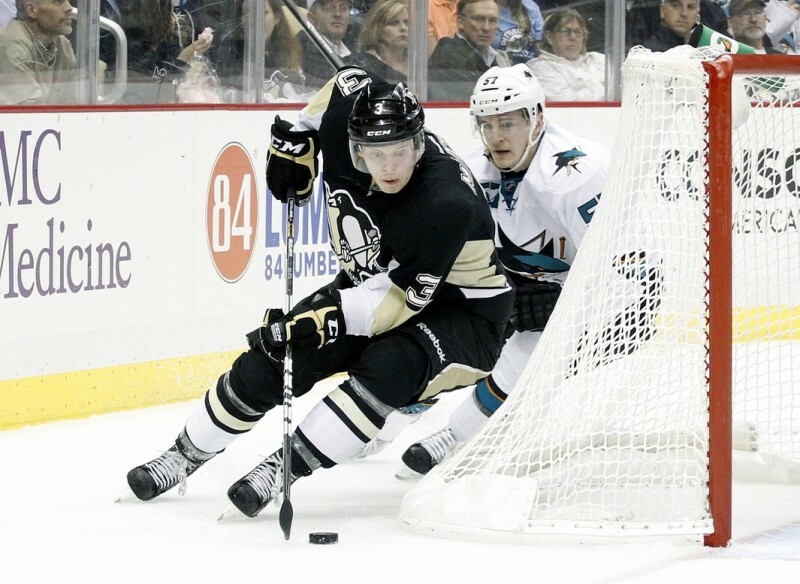 From November 4-15, Maatta would miss six contests recovering from successful surgery. Returning on November 18, Maatta’s welcomed return would only last for ten games as he, along with many other teammates, tested positive for the mumps. He also had a lingering shoulder injury that, as of this past week, has ruled him out for the rest of the 2014-15 campaign. Maatta is unquestionably the future of Pittsburgh Penguins defensemen, but unfortunately has run into several injuries that have plagued his sophomore season. Each player mentioned plays a vital role for the Penguins, the absence is felt even more. While wingers like Bryan Rust, Bobby Farnham, and Jayson Megna filled in to the best of their abilities; they simply could not match the production of Dupuis, Hornqvist and Comeau. A similar claim can be made for Scott Harrington, Derrick Pouliot, and Brian Dumoulin in their attempts to fill the void on the back end. While the Penguins’ depth has never been questioned, the fact remains that the injuries to these key players certainly put the Penguins at a handicap against other Eastern Conference powerhouses like the Tampa Bay Lightning and New York Islanders. However, despite the injuries, the Penguins remain among the top teams in the NHL, which begs the question: How good can they be once they are fully healthy? Who do you miss more Penguins fans?